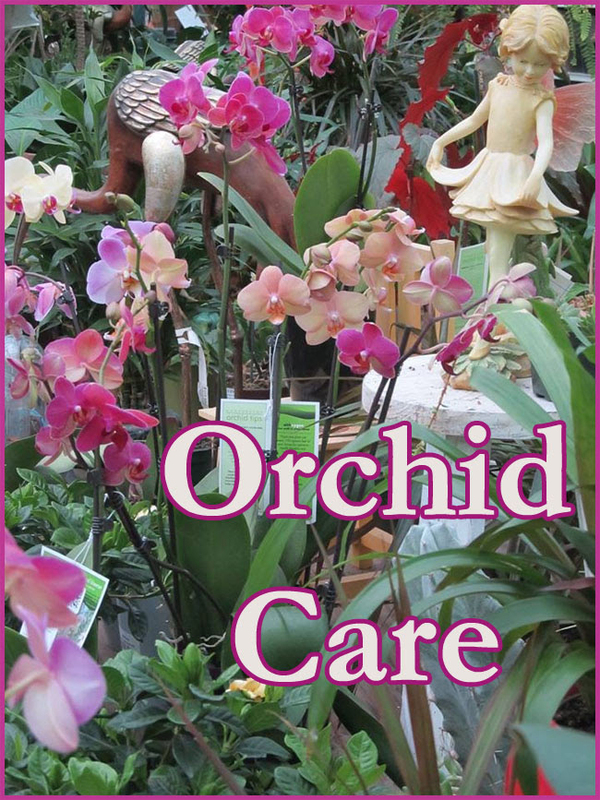 There is this myth that growing and caring for orchids is somehow extremely difficult. This stems from the fact that there are some species of Orchids that do require a more experienced green thumb. However Orchids can be fairly easy to care for with just a little knowledge and few simple steps. Here are some basic care tips for the more common varieties such as The Phalaenopsis. You will want to find the proper location in your home for your Orchid. If you have an east window that's a good place to start. Orchids love warm humid conditions, but too much sun or heat can turn the leaves yellow or cause reduced bloom cycles. Morning sun is usually a good bet. Try and place your orchid in an open location. This allows the roots to breathe and limits any chemicals used in the home such as cleaning products. Gently squeeze the roots, if they feel spongy they still have water to spare. If they feel mushy they are over-watered. If they are rotted, remove them from the plant. If they are dry to the touch add water, but sparingly. Most tropical orchids receive their moisture from humid air. Another way to water is to use a shallow pan and fill it with stones or pebbles adding enough water to cover the pebbles. Take your orchid pot and place it on top making sure that none of roots or any part of the plant is touching the water. This could cause the plant to become too saturated and rotting will most likely occur. This method of watering simulates a more humid condition and allows proper watering for the orchid. Knowing when to prune is real easy because that is when your orchid flowers have died. This is when orchids are in or entering their dormant period and have no blooms at all. Many novice orchid growers are reluctant to prune their plants for fear of doing some real damage but again it really is not that difficult. Use sharp pruning shears. By using sharp tools you will give the orchid a clean cut, making it less susceptible to disease. Make the cut one-fourth of an inch above a node, which is a bump on the flower's stalk or do this on the node just below the spot where the lowest flower appeared. 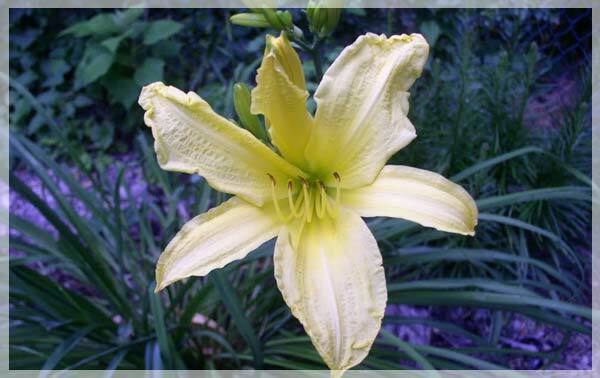 You may want to cut the stalk back completely if it has turned yellow or brown. Check the roots at the same time and prune off any dead or damaged roots. Orchids love to cling to their pots and grow their roots extending well over the edge of their pots. This is perfectly normal but eventually your Orchid will need to be re-potted A common mistake is thinking since the roots are growing every which way out of the pot, it must need a larger container. Chances are it's just thriving. With that said if the center of the plant itself is almost completely out of the pot it's probably time for a new pot. Orchid re-potting should only be done after the bloom cycle. It most likely will loose it's blooms anyway after it is moved. Only increase the pot size 1" at a time. Go from a 4" to a 5". Your plant will adapt more quickly. Clay or wooden pots work well. If it is clay try to get ones that have slots on the sides for better ventilation. Never use regular potting soil use orchid ground bark or orchid moss, but you can also use an orchid mix. Is Your Orchid Sick or Dying? Most orchids have bright green leaves, a sign of a healthy plant. We associate leaves that are turning yellow as sick or dying. This is sometimes true with some exceptions. If only the bottom leaves start to turn yellow this is just the plant aging and you need not worry. If you have just spots of yellow then it's most likely getting to much sun or light. Relocate your orchid. If the entire leaf is turning yellow with black edges you could be over-watering and it's starting to rot. In which case don't water for a couple of weeks. Most orchids have a lengthy bloom cycle and with the right care will bloom over and over again, making them a great favorite among home gardeners. As always if you have questions Van Bourgondien Nursery's knowledgeable staff are here to help you.